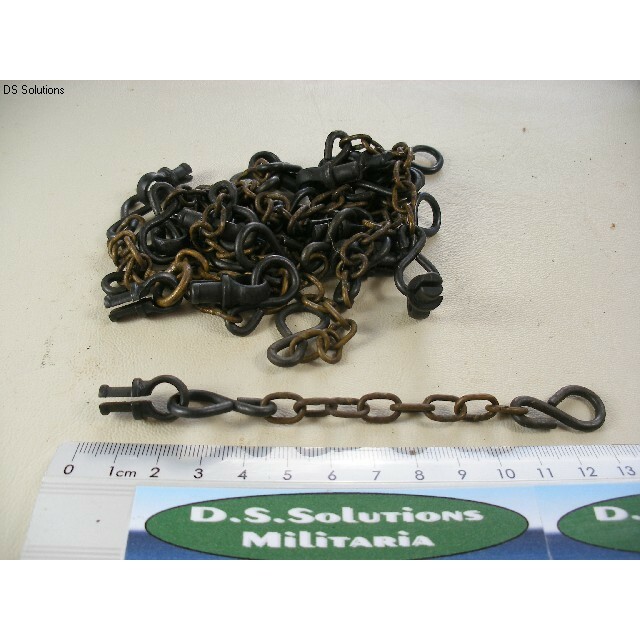 These are original 'Chains, Muzzle Attachment' for the .303" Vickers Mk1 MMG. The chains consist of a length of brass chain (8 links) with closed steel wire 'S' hooks at each end. One of these S hooks has attached to it a split, spring steel stud. The chains are for the retention of the outer muzzle casing to the muzzle gland of the water jacket. The S hook on the opposite end to the split stud is attached to a stud screwed into the outer casing of the muzzle booster, the split stud pushes through a hole at the rear of this casing and into a hole in the muzzle gland where it clicks into place retaining the muzzle booster to the gun. The chain assemblies are in good to excellent condition, most appear unused although there is a loss of finish to some of them and occasional small patches of minor corrosion from years of storage. See photos for condition. 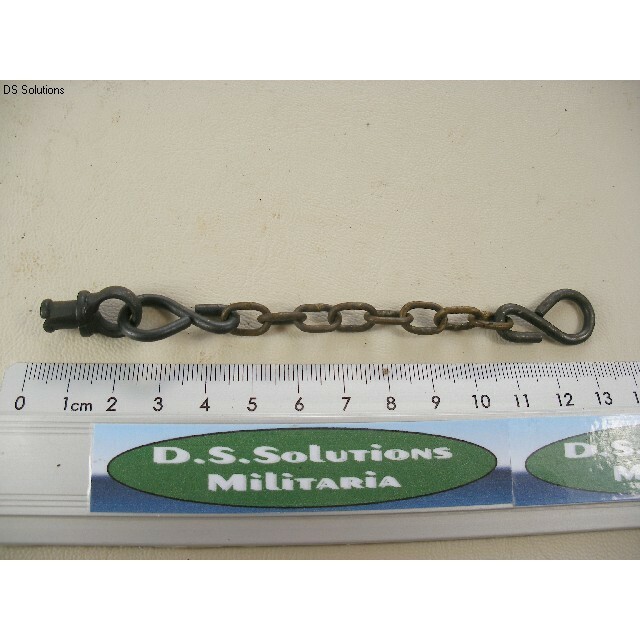 Unit of Sale; 1 Chain assembly as pictured. 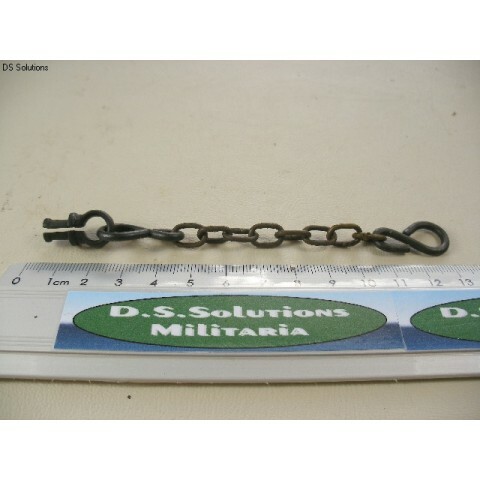 British Army Part Nos; C1/BD0195 (chain), C1/BD0495 or 0836 (split stud or pin) & C1/BD2027 (S hooks).